YellowAirplane.com: History of the USAF USAAF 34th Fighter Squadron. History of the USAF USAAF 34th Fighter Squadron. Historia de la USAAF USAF 34o Escuadrn de caza. This is a history of the 34th fighter squadron from its conception on the island of Ie Shima during WW2 to the present showing all of its different types of aircraft. Esta es una historia de la escuadrilla de cazas 34a desde su concepcin en la isla de Ie Shima durante WW2 a esta muestra todas sus diferentes tipos de aeronaves. This is the history of the USAF USAAF 34th Fighter Squadron which was located on the island of Ie Shima just northwest of Okinawa and south of the Japanese island of Honshu. In WW2 the 34th Fighter Squadron flew the P-47 Thunderbolt Motorcycles For Sale fighter nicknamed the Jug. You can see this type of plane and the following types of planes that this fighter squadron flew below. This is the best information that I can find about the history of the 34th Fighter Squadron. I have tried to put a link to the 34th Fighter Squadron website but they are on the Intranet, not the Internet, so we cannot access their pages. The aircraft here do not have the proper markings for the 34th Fighter Squadron but they are shown here so you can see what types of aircraft that they flew. 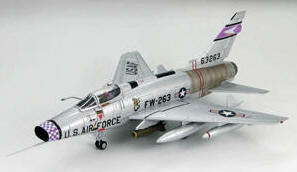 The 34th transition into the F-100 Super Sabre in 1956, which it flew until 1959 when it was inactivated. F-4 Phantom II was the primary aircraft that the squadron flew at Korat AB, Thailand from late 1969 through 1975. It was in 1975 that the squadron moved from Korat to Hill AFB where it flew F4Ds. 'Just wanted to help you out. Take care! After the Gulf War, the Rams got their chance to deploy to the desert. The 34th was the first 388th Fighter Wing squadron to deploy to Southwest Asia in support of Operation Southern Watch. In October 1991, the squadron was redesignated the 34th Fighter Squadron as part of a command-level Realignment. Since 1991, the 34th FS has deployed to Southwest Asia a total of five times. July 1997 Participated in first no-notice Air Expeditionary Force (AEF) deployment concept. Deployed to Eileson, Alaska for participation in first ever Cope Thunder exercise. December 1998 While supporting Operation Southern Watch, Operation Desert Fox engaged. Squadron flew 23 combat missions in three nights of bombing. On first bombing night 15 of 16 targets destroyed and 100% of all bombs guided and functioned.